Shop and dine on campus! It's important that our students have real-world experiences. That's why many of our programs operate complete businesses or have opportunities to offer services to community members. Hair, facial, waxing and nail services are offered through SCC's cosmetology program. Appointments are required. 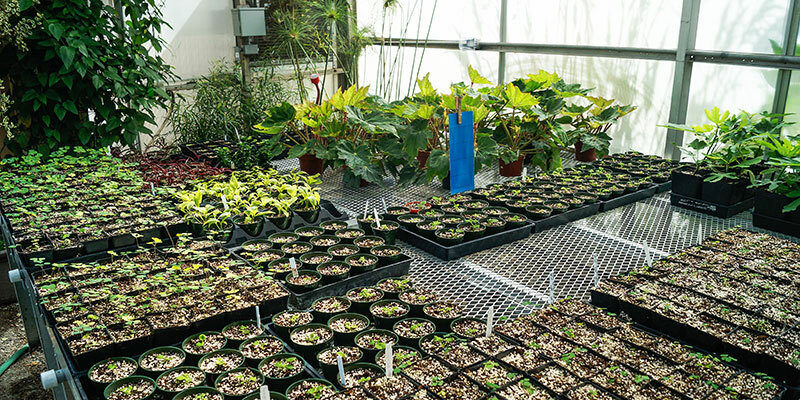 The greenhouse at SCC flower shop and nursery with three greenhouses where students grow and propagate house plants, annuals, perennials, trees and bushes. SCC's Inland Northwest Culinary Academy's restaurant is often called the best kept secret in town. Come see future culinary stars in action. And if you want to learn to cook like a pro, see our INCA After Dark program. Breads, cakes, pastries and coffee to take home are offered at the bakery adjacent to the restaurant in SCC's Building 1.